Showing 1 - 6 of 6 articles tagged "The Great American Baking Show"
The Great American Baking Show with new host Emma Bunton returns on Dec. 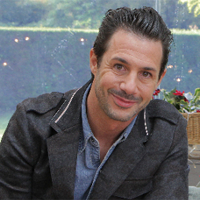 The ABC reality show ran into controversy last year when episodes were pulled following judge Johnny Iuzzini's sexual misconduct scandal. Vallery Lomas was revealed to be the winner in a highlight package posted to the show's Facebook page. A Mic report accusing Iuzzini of sexual harassment and abuse of four former employees came out two weeks ago, on Nov.